VOLVOE: Volvo Articulated Truck Transmission Testing Cable | TestBox by TEM-CO | The diagnostic tool for heavy equipment. 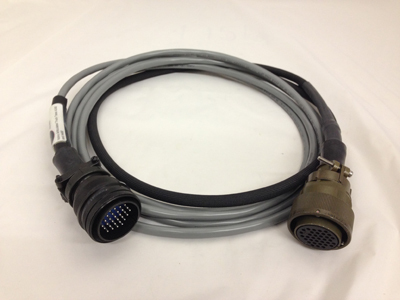 TestBox is a diagnostic tool that can be fitted with the custom cable harness type for your equipment. These smart cables are pre-programmed with transmission-specific shifting patterns, nominal solenoid values and test point specifications. TestBox can directly diagnose transmission problems for on- and off-highway vehicles – and verify whether a transmission is working – by measuring sensors and solenoids, displaying the results on an easy-to-read screen. If the issue is due to bad sensors, connectors, harnesses or solenoids, TestBox allows the operator to override the OEM controls to the transmission and move stalled heavy equipment off the road or to a nearby garage, saving time and money.